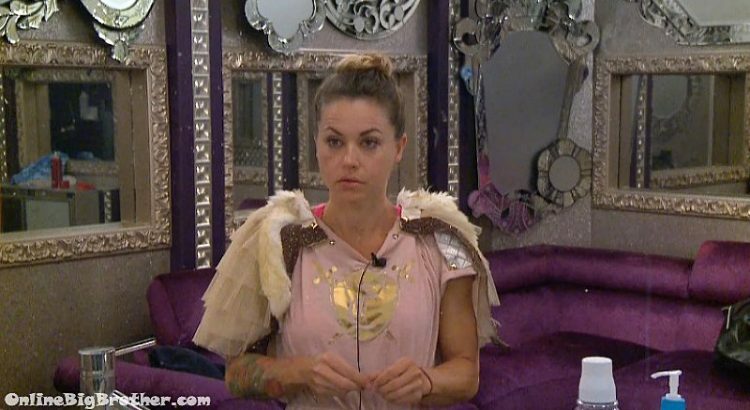 P – won 2 HOH’s .. f* I should talk about that..
Big Brother Spoilers 1:36pm They wake up for a bit..
Groundhog day – it like made my.. the tip of my tongue and my lips numb so it’s got..
12:25pm – 12:45pm Blocks the live feeds to wake up the house guests. 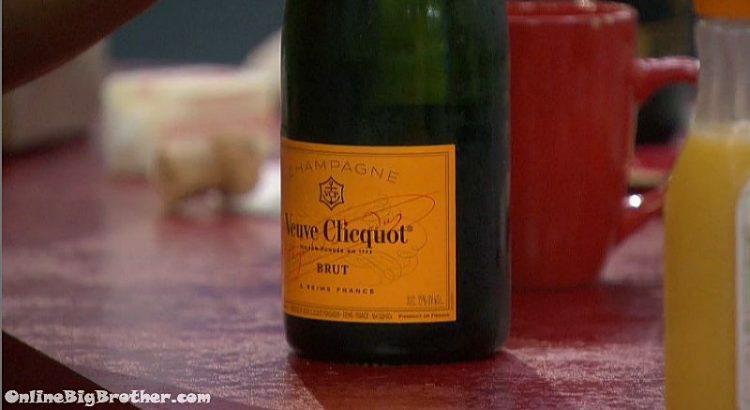 When the feeds return – Josh, Paul and Christmas are in the kitchen making breakfast. Christmas tells Josh that crossfit girls don’t care how big you are its all about how you move. Josh – like dance moves? Christmas – no, your form. Josh – oh, we need to work on that. Paul, Josh and Christmas head outside to eat on the backyard couches. 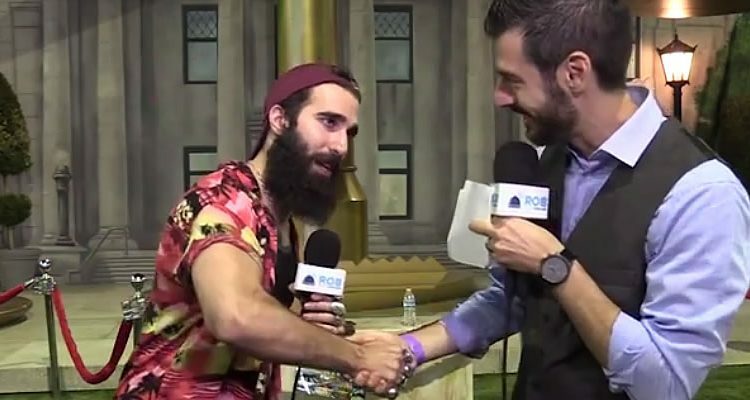 They chat about the part 2 HOH comp, past events of the season and Paul’s Halloween party, Christmas’s business and Paul’s car. Christmas – I hit Raven 5 f**king times and that b***H would not f**king go down. Josh – F**king Jillian wouldn’t go down. Christmas – I hit Jillian every single time. Paul – right now you guys sound like maniacs to me because I don’t even know. Christmas – there were three weapons that you had to use and three parts out there. You had to knock people down but leave the people that were applicable to the answer standing up. Paul – what if you accidently hit one? Christmas – that’s okay you could pull it back up. But if you pull one up that you had to knock down .. I did that with Elena and I was like what the f**k am I doing. 6pm Lounge. 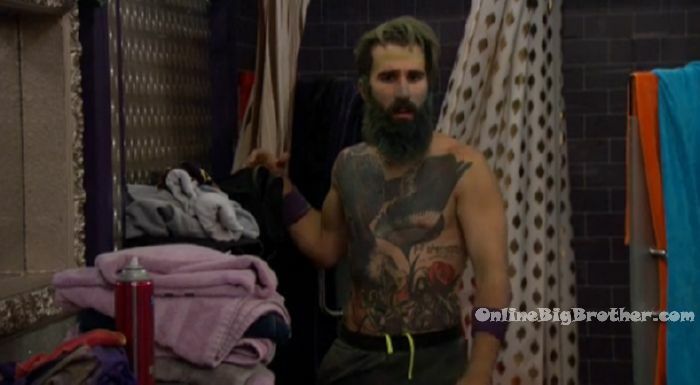 Josh talking to the live feeders. Josh – I wouldn’t want to see anyone else win other than me, Paul or Christmas. We dealt with the most diversity, personal and business. The past 3 weeks have been hell for all of us. We were so stuck in this phase that we couldn’t shake off. And yesterday that all lifted. We get everyone out that we wanted to, in the order we wanted. We all did our parts. If we each didn’t help and protect each other we wouldn’t have made it here. I am just so thankful for my families support. I’ve seen a lot of people change because they wanted to win. The selfishness and greed, they changed who they were, they lied to people. My parents raised me with good morals and good principles to just be truthful. Christmas – that went on longer than an hour. Good job! Paul – good job to you too. I am telling you if that went on much longer, I was out. Not by choice. Christmas – but it didn’t. If it was Kevin, he would have said he threw it. Christmas – Kevin would have been out in three minutes. 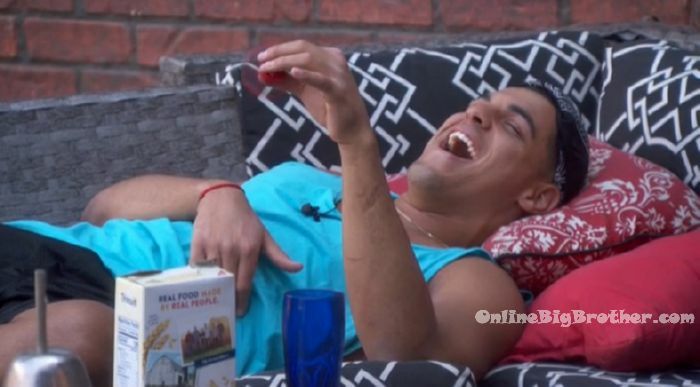 Josh – I would have beat Kevin. Paul – Love you guys, that was awesome. Josh – do we (Josh & Christmas) compete tomorrow? Paul – no you compete Saturday. Congratulations on final 3 amigos. I wouldn’t want to be here with anyone else. Josh – you want to know something. I didn’t know if I would make it this far but I always knew you two would make it far. Here we go Folks the final 4 eviction episode. Tomorrow is a special Friday episode where we’ll find out who wins the first of three part final HOH. Following that is the much awaited Season finale on the 20th. We’ll keep updating but with just 3 people in the house don’t expect some major game to go down. Make sure to vote for America’s Favourite Player. Choice the person you liked the best. From what I’ve been told you need an active CBS all access account for your vote to count. 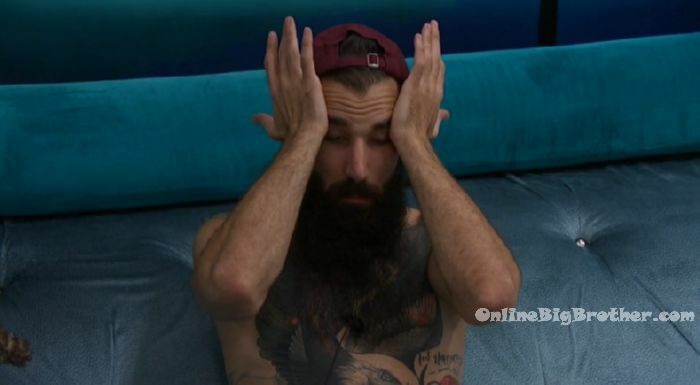 I have an active CBS all access account and was only able to vote 20 times for my selected houseguest. Let us know in the comments who you are voting for and why. Paul – Well ladies and gentlemen, Hello! Hi! I made it! A few things, this season was super difficult. I enjoyed the fact that I was forced to play a different game. It pushed me to be… I had to be strategic. There was no other option. I couldn’t play the same game I played last year for many reasons. One, everyone already knew my game play. Two – I couldn’t constantly be in survival mode. What I mean by that is last year I was on the block so many times I had to be in survival more. I constantly had to think about 10 steps ahead. If somebody nipped me, it was already too late. If somebody caught me, it was already too late. I could never be caught. I always had to be steps ahead. I had people do my dirty work. Kevin – its really hard to navigate these waters man. The competitions are nothing. The best competitors are gone. The physical competitors are Cody, Jason, Jessica wasn’t bad, Mark, Alex .. and basically all of them are gone. Josh, me and Alex haven’t won any physical competitions. You can’t call me no floater. I’ve been fighting my whole life. I have a lot of nice outfits and costumes for you to choose from. I can’t wait to get home. These last 17 days have been the hardest days ever. 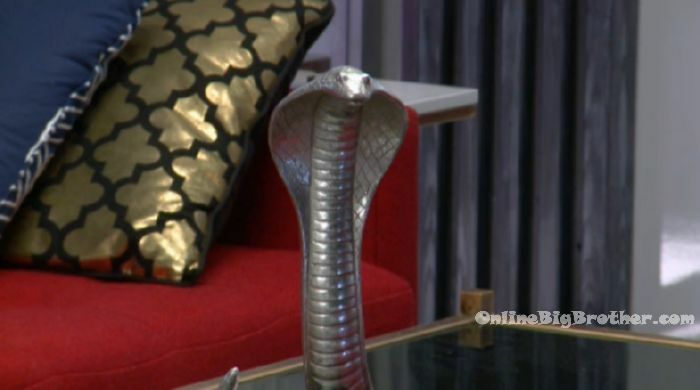 I wasn’t taken off the block today by the power of veto.. which is fine and we’re going up for live eviction. I have no idea when. I love you guys. I obviously know what I’m doing.